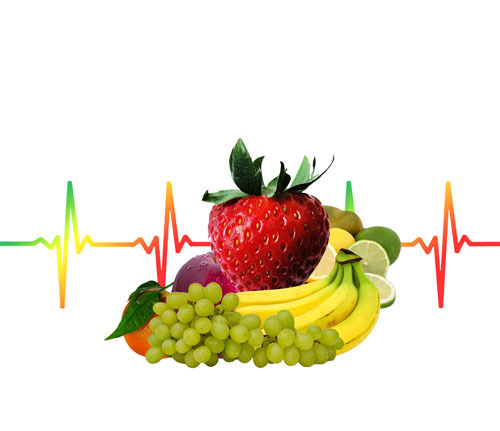 “You can measure your nutritional deficiencies. When you learn the specific nutrient deficiencies that cause diseases such as cancer, heart disease and diabetes you will never want to be deficient again. Florida House of Representatives- Made a presentation to Florida Legislators and department representatives on the Impact of Nutrition on the Florida State Budget. Lance Armstrong Foundation- Wrote and delivered a series of eight video clips on child nutrition for the new web site Live Strong. Have been asked to contribute 75-100 additional clips on nutrition and natural health. The Executive Committee (TEC)- Chosen to be a primary contributor and presenter to TEC groups in Florida. This is a network of small and medium sized businesses whose owners and CEO’s meet monthly to learn about business innovations. National Fallen Firefighters Foundation- Wrote an article for the NFFF entitled Twenty Minutes to a Healthy Heart for their web site. The article includes self assessments and evidence based natural protocols for preventing and reversing heart disease. Society for Human Resource Management (SHRM)- Selected to give a keynote address to the Tampa Bay Chapter of SHRM on the topic of Raising the Bar on Wellness. This presentation will include criteria for evaluating the quality of existing wellness programs. Goodwill Industries- Chosen as the wellness advisor and consultant for Goodwill Industries of Miami-Dade County. Have provided workshops on the topics of weight loss, nutrition, stress management, heart health and diabetes. Florida Department of Health-Selected to deliver one of the keynote addresses at the department’s annual meting on workplace wellness. The theme of the presentation will be “How To Ensure Success With the Prevention and Reversal of Chronic Disease”. Long Island University- Selected as a nutritional advisor to the athletic teams of this NCAA Division I university as well as the autism project, which is underway at the University. The Visiting Vail Professorship - This annual lecture attracts internationally acclaimed cancer experts to the Region, who present to audiences that include practitioners, medical residents and researchers. More recently, the Vail lecture has broadened its audiences to include family physicians, cancer survivors and the greater general public. , thus broadening the impact of this major event. • His book, Performance Measurement for Municipalities, won the Gold-First Place award at the Municipal Finance Officers Association of North America annual conference in 1981. • He spoke on behalf of the Canadian Government at the United Nations Habitat Conference in Istanbul in 1996, on the topic of Strategies to Improve Decision Making and Governance in Former Soviet Union Countries. • He wrote over 200 articles published in national magazines in the US and Canada, including a series for the Toronto Star and appearing on the cover of Civic Public Works, the most circulated magazine in Canada on municipal government. • Being invited by the Florida Legislature to deliver a presentation on the Impact of Nutrition on the Florida Budget. • Becoming the top speaker on health and wellness for Vistage International, the largest CEO network organization in the world. • He was named 2013 Vail Visiting Professor of the Ottawa Regional Cancer Foundation. • He will be one of the key presenters at the 2017 Employer Healthcare Benefits Congress on the topic of Optimizing Wellness Success With Functional Medicine. He will copresent this session with Dr. Michael Roizen the Director of the Wellness Institute at the Cleveland Clinic. • A new article will be published in the summer of 2017 in the National Civic Review entitled “Electing Better Politicians: Is It Really Possible?” This organization was started by Theodore Roosevelt, and is still a strong voice for governmental reform. Dr. Bens has written nine books and over 300 articles in both of his career categories and has continued to stay at the forefront of his chosen careers by adopting a strong commitment to lifelong learning. • He did not start his Masters Degree until he was 50-years-old. • He did not begin his PhD studies until he was 60-years-old. • He has written and taught 3 University courses. “This is by far the best class I have ever attended, even better than one given by Dr. Andrew Weil.” Employee Hillsborough County, Florida. “Dr. Bens is one of those rare presenters who combines an easy, unassuming style with a depth of knowledge and practical information delivered with an inspiring effect. His light touch and use of humor made a potentially “heavy” subject engaging and entertaining. His evaluations from every employee were a perfect 5 out of 5.” Senior VP of Human Resources, Citi Group. Health Care versus Illness Care– Health care includes wellness; prevention and disease reversal, while illness care mostly treats symptoms and manages disease. Illness care will bankrupt the country while health care, done correctly, can save the country. Dr. Bens drives this fact home with the best scientific and economic information delivered in a very motivating way. Reversing Chronic Disease With Nutrition– Over 80% of disease is preventable and reversible and yet we only spend 5% on prevention. Dr. Bens uses indisputable scientific evidence to explain exactly how this prevention is possible and what action needs to be taken by individuals, the government and employers to force the necessary changes in the health and food industries. Food as Medicine– Nearly everything about the current American diet is wrong and people are not only misinformed, they are usually unable to make the changes they know they should. Dr. Bens uses simple cellular biology illustrations to show exactly how the body works and which foods promote disease and which ones do not. Food can be our strongest medicine is we use it properly. Weight Loss Without Diets– Diets do not usually work and 95% of people gain back all of the weight they lose initially plus a few extra pounds. Dr. Bens explains why this happens due to our metabolic differences, the bodies programmed weight loss defenses and the poor nutritional quality of most popular diets. Losing weight the right way includes a lifelong commitment to eating whole natural foods at the right times, in the right combinations and with good digestive habits. The Care and Feeding of the Brain– People pay very little attention to how they feed their brains which accounts for the very high rates of depression, sleep disorders, stress, addictions and a whole host of other brain related issues. Dr. Bens explains how the brain works and how anyone can have a healthy brain for as long as they live. Even genetic predispositions can be overcome in many instances. Preventing Cancer at the Molecular Level– This presentation will explain how disease begins and usually advances through five distinct stages of cellular deterioration. It will further explain how this advancement is allowed to happen due to the systematic breakdown of genetic and cellular defense mechanisms brought on by several factors including, flawed genetic expression, the presence of toxins, the lack of good nutrition, excess stress, poor sleep, inadequate exercise and negative attitude. Each of these factors not only contributes to cellular deterioration, they can also contribute directly to disruptions in programming within the immune system. Cancer suppression genes can be turned off or on depending on the environment created within the body including various lifestyle, behavioral and attitudinal factors. Your Healthy Heart– This workshop utilizes the Healthy at Work educational model and the recommendations of three outstanding doctors to help explain how the body works to both prevent and reverse heart disease. Some of the special feature of this workshop includes three self assessments of risk, diet and lifestyle as well as a review of clinical trials that have proven the effectiveness of certain heart healthy supplements. Every participant will leave this workshop with a personalized plan for preventing or reversing his or her heart challenges that can be shared with his or her primary care practitioner. Treating Diabetes Naturally-Diabetes has reached epidemic proportions in the United States and is advancing at a furious pace. Poor nutrition is the main culprit followed closely by the lack of regular exercise. Conventional medicine addresses this problem by giving little attention to these two causal factors while concentrating on medication as the primary mode of treatment. This is an expensive course of action and often does not eliminate the medical complications experienced by diabetics as they age. Natural medicine has a proven scientific protocol to treat type 2 diabetes that can be successful for most existing patients. The protocol concentrates on diet, exercise and proven nutritional supplements to help the body to rebuild its capacity to produce insulin and balance blood sugar. behind each of these brain related protocols. Participants will each develop a personalized improvement program that can be shared with their doctor who can help with implementation and monitoring. The Perfect Diet: Why Eating a Good Diet Is Not Good Enough – This workshop challenges many commonly held beliefs about nutrition and health. The following topics will be covered. • The direct connection between diet and chronic disease. • Why 99% of our population has a nutritional deficiency. • Why our bodies use nutrients in a priority process with disease protection and protection from early aging as the lowest priorities. • Why modern medicine cannot diagnose disease until it is usually well advanced. • Why our health care system is obsessed with treatment while virtually ignoring prevention, in spite of the fact that 80% of disease is preventable. • How nutritional medicine can prevent and reverse most disease with 400% more and better science than conventional medicine has. • How a less than perfect diet actually leads to chronic disease. • How to design your perfect diet and really enjoy it. To say that this workshop is a real eye opener would be a gross understatement. Fitness Done Correctly – Only 15% of the population gets the exercise they need on a regular basis and there are many reasons for this including lack of time, lack of desire and the lack of results. This workshop tackles these three problems and many others in some very unique and powerful ways. We explain the advantages of exercising by covering the way the body uses exercise to strengthen the heart, eliminate toxins, feed the brain and improve glucose metabolism just to mention a few key factors. These scientific explanations are presented in a very understandable way so that participants can increase their motivation to begin and sustain a regular exercise program. We also cover how to eat properly as well as how to do specific exercises properly in order to optimize results. Once we establish this solid framework for exercising it is much easier for a person to find the time they need in their daily routine. • Each participant leaves the workshop with a personalized exercise plan as well as strategies for changing it periodically in order to keep it interesting. • Which foods can help you live longer? • The pros and cons of exercise on the aging process. • How calorie restriction can both help and hurt aging. • Why free radicals dominate aging research. • The best tests to determine how your body is aging. • Learn about genetic influences such as the length of telomeres. • How does sleep and stress influence aging? • Why knowing your pH level is extremely important. • Which nutritional supplements prevent and reverse aging? Nearly everyone wants to live a long and healthy life and yet very few people actually have a plan for doing so. This presentation will help everyone who attends to make his or her own personal plan. Medicine Goes Back to the Future – This provocative presentation examines recent dramatic changes in medicine that could reverse the deteriorating health of our population. Over 60% of adults have one or more chronic diseases. These changes are occurring primarily in two areas. • The adoption of new, early diagnostic techniques that can identify nearly all chronic diseases up to ten years before existing tests can. • The use of safer, more effective and less costly evidence-based natural medicine strategies that could be used to prevent and even reverse most diseases including heart disease and cancer. clinic’s CEO declared, in announcing the change, that functional or natural medicine is the “medicine of the future”, which is interesting because it is the same medicine doctors used over 100 years ago. Yes, medicine really is going back to the future. Digestion: The Key to Good Health – Most people do not understand the digestive process and how important it is to their health. If digestion is not working properly the body will not get the nutrients it needs which can lead to chronic diseases ranging from arthritis and depression to heart disease and cancer. In fact, digestive problems are one of the most significant causes of chronic disease costing employers billions of dollars in avoidable health costs. Digestion is usually the very first topic that should begin the discussion about how to help employees become healthier. • The process of digestion. • How to enhance the digestive environment. • How disease happens at the cellular level. • The best nutrition for good digestion. • How supplements can help digestion. • Guidelines for proper eating. • The value of cleansing and detoxification. Breast Health-A Cellular Perspective– Breast cancer is the number one health issue for most women and the number one “cure” is actually prevention. Up to 90% of breast cancers are preventable, but most women do not pay attention to what can be done until after they are diagnosed. This workshop will feature the primary prevention strategies that every woman should be following. • The benefits of thermography in breast cancer detection. • The five stages of cellular deterioration. • Nutritional priorities to prevent or reverse cellular stress. Lowering blood pressure naturally– High blood pressure is often called “the silent killer” due to the fact that so many people don’t realize they have high blood pressure until it is too late. Persistently high blood pressure can lead to kidney disease, dementia, heart disease, stroke, arterial disease and vision problems. This workshop will cover. • Conventional treatment and how well they work, or do not work. • Foods to include and foods to avoid, as well as nutritional supplements that are very effective. • Managing stress, because stress can increase blood pressure. • Getting enough exercise is vital to maintaining good blood pressure. • Final suggestions- If prescription medication is necessary there is one type that is preferred over the others. Smoking Cessation Program – According to a study by the University of Minnesota 90% of people who try to quit smoking are smoking again within 18 months. This high failure rate is due to the fact that smokers are too addicted and too toxic from their many years of smoking. Healthy at Work has developed a program to help address these problems. which advises smokers to make gradual changes such as better diet, exercise, deep breathing, nutritional supplements, saunas and other lifestyle changes. This causes the body to detoxify and the brain to become less addicted. In our program the smoker cuts back gradually over a three-month period, then quits with few withdrawal symptoms or relapses. By taking small steps, success rates rise from 10% to over 70%. How Disease Begins and How to Prevent It – There are several causes of disease including genetic influences, poor nutrition, stress, toxicity, incorrect exercising and poor sleep. However, almost all diseases begin with small changes in our cells and progress over time as these various influences change how cells function. It is now possible to find the earliest changes in cells and prevent this deterioration process from progressing to the disease state. This workshop will explain this process with scientific evidence as well as provide a blueprint to preventing and even reversing chronic disease. Preventive Healthcare: Shifting the Self-care Paradigm – Preventing disease must include a high level of commitment to self-care if someone is going to get sustained results. The current health system is simply not prepared to provide even a modicum of time, energy or expertise in the area of prevention. There are five stages of self-care based on the level of personal involvement that a person is able and willing to provide for themselves. This workshop explains these five levels as well as the various tools needed to move someone from being very dependent to being very independent along this self-care paradigm. How To Prevent and Reverse Dementia and Alzheimer’s – Since the beginning of time dementia and Alzheimer’s have been classified as incurable diseases. In the past few years this has changed as new tests and natural prevention/treatment protocols have begun to explain how these illnesses develop and how, if caught early enough, many people have been able to prevent, slow and even reverse these very debilitating illnesses. This workshop will present this new scientific evidence and provide a step by step protocol for the early diagnosis and treatment of these illnesses. These educational programs have been developed by Dr. Charles Bens for Healthy at Work, Sarasota, Florida. All of the materials are proprietary to Healthy at Work and are copyrighted for the exclusive use of Healthy at Work wellness programs. All materials can be used by Healthy at Work clients only and cannot be reused by any other employer without the consent of Dr. Bens and Healthy at Work. All materials are considered educational and are not intended to replace the advice of any employee’s health practitioner. Most workplace wellness programs would love to get results like this for the expenditures made. Here are some examples of the programs implemented by Healthy at Work for their clients. Gastric by-pass avoided– This employee was able to cancel her surgery after taking our nutrition program; losing 50 pounds and getting her cholesterol and glucose levels normalized. Diabetes reversed– Our diabetes reversal program was able to reduce A1C levels in 16 out of 17 employees and get several employees to reverse their diabetes completely. Sinus issue resolved- This employee changed her diet and started taking an enzyme called serrapeptase. Her sinus issues were completely resolved in six weeks. Weight loss study success– A group of employees (18) participated in a ten-week weight loss program. Seventeen of them lost weight, up to 13 pounds, and one gained three pounds of muscle and lost inches. This represents a 100% success rate. Smoking cessation program- This employer has hired Healthy at Work for four years in a row to help employees stop smoking. Over 50% have been successful and were able to reduce their health insurance premiums as a result. Some also lost weight and lowered their blood sugar. Irritable bowel syndrome- This employee had been battling IBS for over fifteen years. After changing her diet, and taking recommended supplements, she was able to reverse her condition within a few weeks. Macular degeneration- This CEO was told he needed stronger glasses. Instead he took recommended doses of lutein, bilberry and zeaxanthin. In eighteen months, his prescription was lowered when his eyes improved. Two years later he was able to lower his prescription again. Acid reflux reversed- This business owner had been experiencing gastric distress for over fifteen years without any resolution. He changed his diet and took zinc carnosine tablets with relief coming in just two days. Breast cancer screening- This employer was looking for ways to help their female employees reduce their risk of breast cancer. After participating in the breast health workshop from Healthy at Work their insurance broker decided that there was enough science to justify paying for all female employees to receive thermography screening and a doctor’s consultation. Thermography can see faulty breast cells eight to ten years before mammograms, with no pain or radiation. High blood pressure- This CEO was put on high blood pressure medication. After taking the Healthy at Work Heart Healthy program he changed his diet and started taking garlic in supplement form. He was able to get off of his medication in six weeks.